Five years after weight loss surgery, obese patients may regain many of the pounds they initially shed, a new study from Israel suggests. While surgery remains more effective for lasting weight loss than alternatives such as dieting and exercising, said lead study author Dr. Andrei Keidar, the study findings suggest that doctors still have more to learn about which patients will get the most benefit from operations and what strategies can make the initial results stick. Globally, 1.9 billion adults are overweight or obese, according to the World Health Organization. Obesity increases the risk of heart disease, diabetes, joint disorders and certain cancers. 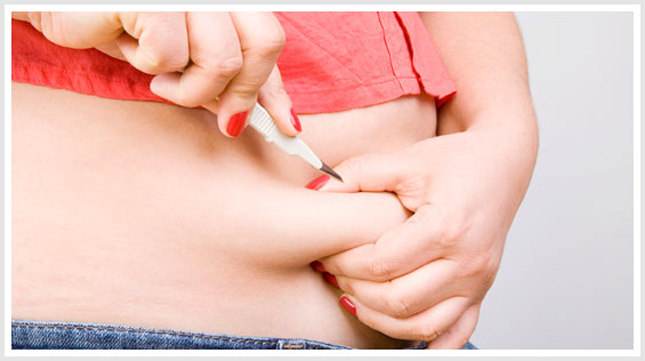 Surgical weight loss has gained traction in recent years, but it is not risk free. And with these particular operations patients can become malnourished. In the U.S. alone, roughly 180,000 people get these procedures each year, according to the American Society for Metabolic and Bariatric Surgery (ASMBS). The most common operation is what’s known as a sleeve gastrectomy, which reduces the stomach to the size of a banana, followed by a surgery known as Roux-en-Y that creates an even smaller stomach pouch. Keidar and colleagues followed 443 obese patients who had sleeve gastrectomy procedures to see how much weight they lost and whether they experienced improvements in other health problems tied to obesity such as diabetes, hypertension and high cholesterol. After one year, the participants still in the study had lost 77 percent of their body weight on average, but they slid back toward to their original weight as time passed. At three years, they were still down by 70 percent of their original weight, and just 56 percent at five years. About half of the patients with diabetes experienced complete remission after one year, with their previously elevated blood sugar returning to a healthy range common in people without the disease. In this, too, patients backslid over time, with just 38 percent in complete remission after three years and only 20 percent at five years. Participants experienced significant reductions in levels of low-density lipoprotein (LDL), the bad kind of cholesterol, at one year and three years, but at five years the change was so small it might have been due to chance. Roughly 46 percent of people with hypertension returned to a normal blood pressure at one year and at five years. One shortcoming of the study is that many patients dropped out at each stage, leaving results for very few participants at five years, the researchers note in JAMA Surgery. “There are still critical gaps in knowledge about the long-term (5 years and longer) results of bariatric surgery,” Dr. Anita Courcoulas, author of an editorial accompanying the study and chief of bariatric surgery at the University of Pittsburgh Medical Center, said by email. A separate study in the journal examined the effects of alcohol consumption after Roux-en-Y operations. Researchers found that after surgery, patients who drank the same amount they did before the operation experienced a much faster increase in blood alcohol levels, which were about twice as high as they would have been before surgery. “Because blood alcohol levels are doubled after surgery, people could engage in risky drinking when drinking only moderate amounts of alcohol,” lead study author Marta Yanina Pepino of the Washington University School of Medicine in St. Louis, said by email. This issue, as well as the potential to regain some weight initially lost, shouldn’t deter obese patients from considering operations, said Dr. John Morton, ASMBS president and head of bariatric surgery at Stanford University School of Medicine in California.